Boat Docking is $125 per week or $25 per day. Designated parking for trailers. Cancellation Policy Deposits are refundable with 30 day notice before check in, but are subject to a $25 service fee. Cancellations, for any reason, less than 30 day notice will forfeit entire deposit. Deposits for 1 night rentals must be paid in full including tax and are non-refundable. There are no refunds for late arrivals or early departures. Check in is 2:00pm and check out is 10:00am. Off season times are flexible. 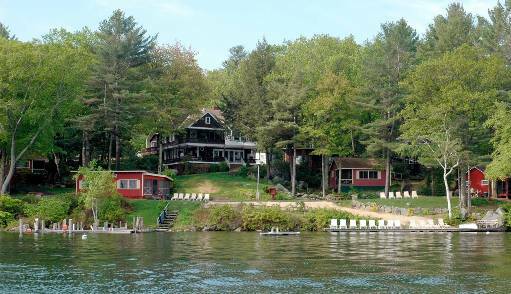 Deposits for weekly rentals are $700 for any 3-bedroom cottage and $600 for all other weekly rentals. for 1 night rentals deposits must be paid in full including tax and are non-refundable. Management reserves the right to cancel reservations by returning deposits if it becomes necessary to shut down any given cottage. guests are $30 each per night or $60 each weekly. Maximum of 2 additional guests per cottage. We do not allow day or visiting guests. Parking is adequate for 2 cars per cottage. Look for your designated spot by cottage number. is accepted by personal check, money order, bank check, travelers check and cash. We accept Mastercard, Visa and Discover credit cards (3% fee). Gift certificates available upon request. Pets are not allowed. Anywhere, anytime. Rates are subject to change and do NOT include 9% NH Rooms and Meals tax. Smoking is allowed on the grounds but not in the cottages. Spring and fall rates are 20% off with flexible check in and check out times. Off-season deposits are 1/2 of rental and refundable with 30 day notice. Less than 2 night reservation, payment in full including tax, prior to reservation.